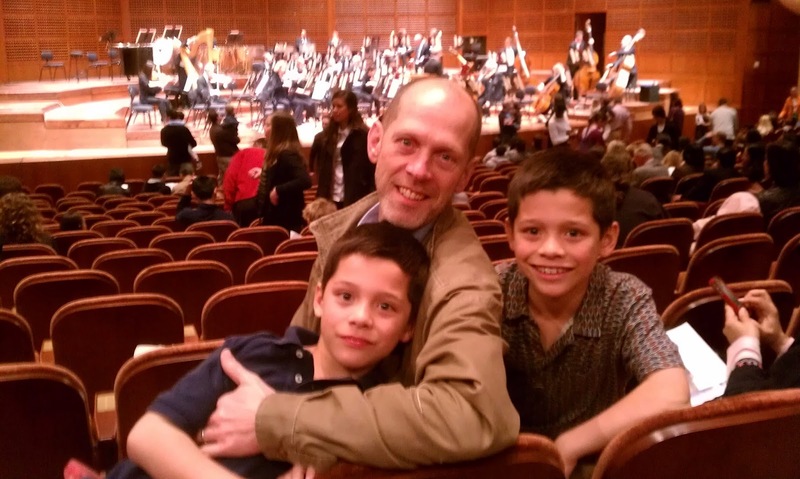 My dad loves classical music, so I grew up listening to Tchaikovsky, Beethoven, and Chopin. We listened to the Vienna Boys' Choir as much as we did to the Jackson Five, and I could hum the 1812 Overture and the Blue Danube Waltz as easily as I could sing YMCA or Tie a Yellow Ribbon. I married a man who loves the opera and has a collection of hundreds of classical albums, so it's natural that we'd want our kids to learn to appreciate classical music as we do. I was going to write a short post poking fun at this sign -- I mean, come on! Do you really need to say that your bakery is Sanitary? Isn't that, like, a prerequisite rather than a selling point? -- but as it turns out, the story behind the photo is funnier. In an I'm So Stupid kind of way. Because in my rush to park the car and take this photo, I totally forgot to check the parking meter to see whether parking was free on Saturdays. The weather was so nice this weekend, it got me thinking about spring, and all the fresh, green produce that goes with it. 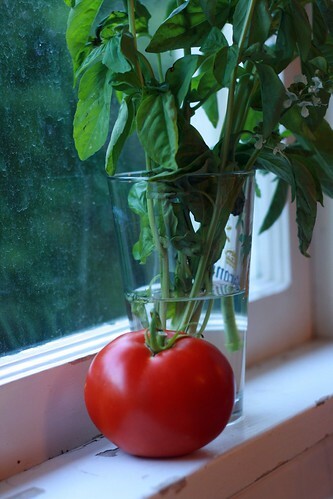 Fortunately, the kids all like salad now, so not all the veggies we consume have to be cooked! Ranch and Blue Cheese dressings are still their favorites, but they've grown to appreciate the taste of olive oil and balsamic vinegar -- especially when the oil is smoked, and the vinegar is red wine vinegar from Napa Valley. Yesterday The Pea's 5th grade class went on a field trip to the San Francisco Symphony. As part of the SF Symphony's Concerts for Kids program, they joined hundreds of other 4th through 9th graders who heard the symphony perform excerpts from Wagner, Tchaikovsky, Strauss and other great works. Between pieces, conductor Donato Cabrera explained to the kids what each piece is all about, which instruments and stories and emotions are highlighted, bringing the music to life for everyone in the audience. It's a wonderful addition to the kids' musical education, and everyone who attends, from the kids to the teachers to the parent chaperones, has a great time. If only I had been there with her! I've heard of 24-hour cleaners and eco-friendly cleaners, but psychic cleaners? I actually made a U-turn so I could get a closer look at this sign. Did they know when their clients would be coming around? What sort of mystical powers did they use to clean shirts? Or was this a not-so-subtle way for a so-called psychic to let her clients know she was faking her palm-reading, i.e. taking them to the cleaners? What a deliciously intriguing sign! Last week the stars aligned and gave us pretty-darn-near-perfect weather for a family ski vacation. 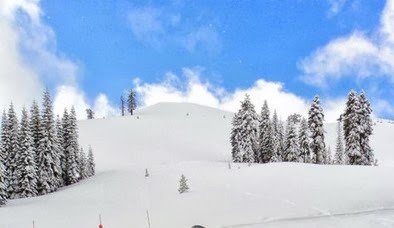 After months and months with not a snowflake in sight, the Tahoe skies finally produced some snow -- but obligingly stopped the morning that we left, so we could drive up without any traffic delays, and enjoy soft powder and sunny skies. Say what you will about overcommercialized holidays, materialistic, displays of affection and shallow trinkets that wilt/fade/melt/rot along with the giver's own feelings ..... love, especially one as genuine and sincere and heartfelt as this, deserves a celebration. February 13-17 is Social Media Week; people in 12 cities around the world, from New York to London to Paris to Tokyo are gathering to learn about emerging trends in social and mobile media and share ideas on how to best apply them to major industries and individual businesses. 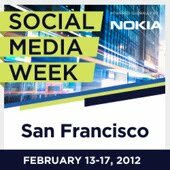 Keynote speakers include the CEO of Google Brazil and the White House Director, while individual sessions feature top executives and key influencers like Lisa Stone, co-founder of BlogHer, Mawaan Rizwan, one of the most popular YouTubers in the world..... and Bonggamom. Yesterday I dropped the van off for a smog check and decided to take a walk to the local shopping center to pass the time. On the way, I passed a small motel and happened to look up, only to be greeted with one of the strangest sights ever. Yes, those are toilets on the balcony. I've always prided myself on my yummy banana bread. My sister gave me the recipe over a decade ago, and I've used it ever since. Once in a while I'll try another banana bread recipe, or a variation of banana bread, and they're usually very good, but not good enough to prevent me from going back to my tried-and-true recipe. Photo courtesy of the Vita Hill Social Club - SF Flickr set. 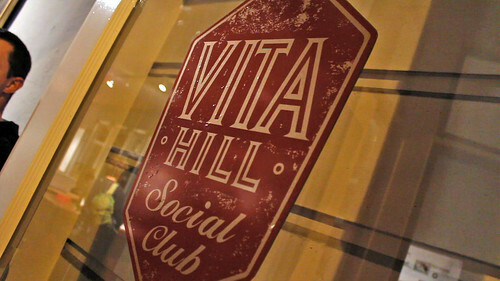 This weekend the kids and I attended a PlayStation blogger event at a place called the Vita Hill Social Club, and I have to say, it's the coolest place ever. 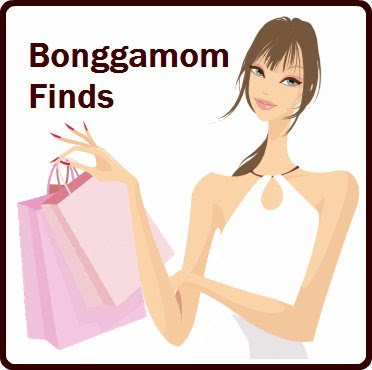 I wrote an event recap on Bonggamom Finds, but for this post I just wanted to rave about the decor, mainly because we've been doing a lot of redecorating around the house, and I've been keeping an eye out for interesting ideas. Well, there were a LOT of interesting ideas all over the place!